We have been using Altiris for years and since Symantec bought them out, the price structure has been too cost prohibitive for us to continue to re-license it. 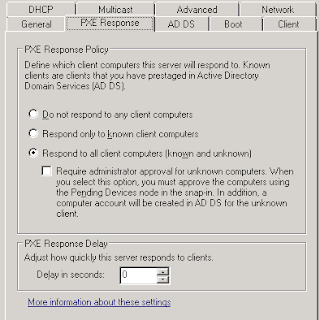 As we prepare for Windows 7, we were able to setup two Windows Deployment Service servers fairly easy. I was happy that we were able to capture Windows XP images, so that as we transition we don't have to worry about holding onto our old Altiris setup. 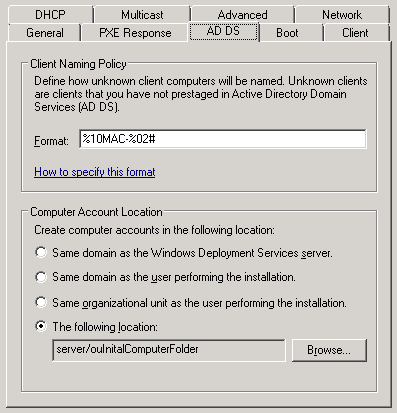 I used the Windows Deployment Services Step-by-Step Guide and the Windows Deployment Services Getting Started Guide to setup the systems (which those URLs at the bottom of this post). The following is a quick overview of our settings. 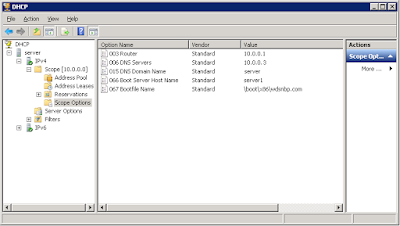 Configured my settings and added the boot and install images off my Windows 7 and Vista DVDs. Everything went very smoothly and faster than expected to transition. We all trained on Windows Deployment Services one afternoon and were able to install and capture images quite easily. I do want to note, since I didn't read this anywhere in the documentation, that it appears that you can only capture one disk image at a time per image group. We started four machines at once to capture an updated Windows 7 image and only one machine captured with the other three erring out. The reason why is we were trying to capture an image from each machine to one image group. Each image group has a database type file that the images are stored to and it appears only one write sequence can occur at a time. It's not a frequent occurrence that multiple images would be captured, but I thought it was worth noting. 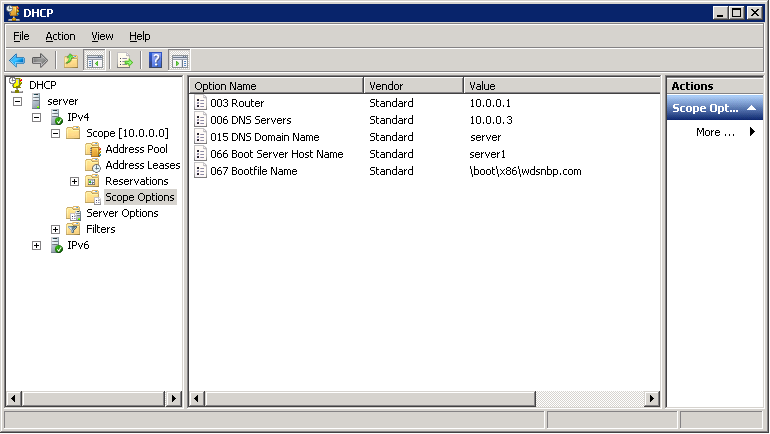 We are very pleased and within one more day of testing, we stopped using Altiris Deployment Solution all together.